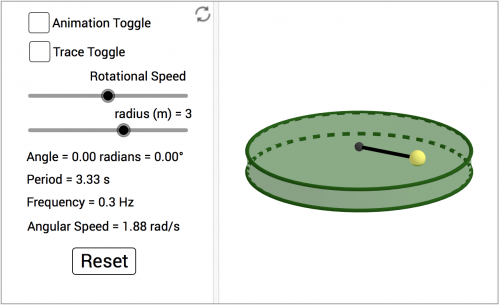 Interactive simulation lab activity where students explore quantities describing circular motion. 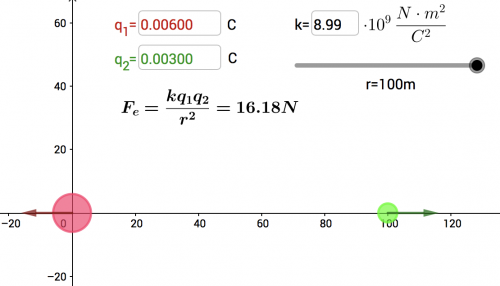 Interactive simulation to explore the basic relationships in Newton's Law of Universal Gravitation using Geogebra. Lab handout to accompany the APlusPhysics Coulomb's Law mini-lab simulation activity. 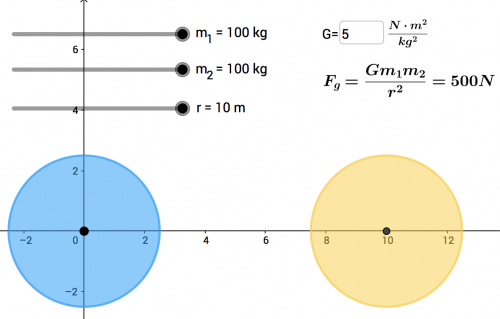 Students explore the relationship between charge and electric force, and observe the relationship between separation distance and electric force, using Interactive Physics.